Pure Non-Scents® Charcoal Face Masks Hg+ (Mercury) for exceptional protection against mercury vapors, VOCs and other nuisance odors. Pure Non-Scents® Activated Charcoal Face Masks (by Charcoal House) lets you breathe inside when breathing in your environment is unpleasant, obnoxious or down right unhealthy and dangerous. Pure Non-Scents™ Charcoal Face Masks Hg+ (Mercury) use a special version of Activated Carbcloth™ to give protection against mercury vapor and other organic vapors. The HF filter medium, offering the highest flow rates to date for any activated carbon cloth medium. Each layer has a highly adsorbent microporous internal surface area of 3600m2. This is the same Carbcloth™ used in Nuclear, Biological and Chemical (NBC) protection wear. A one-way valve on one side of the mask for easy exhalation adds to the mask's high airflow capability, which lets wearers breathe freely and concentrate on their work. Light and comfortable to wear, the mask has an adjustable nosebridge allowing it to fit any size or shape of face. Designed for minimum eight hours protection** (see Link below) against mercury, nuisance-level vapors and odors, as well as dusts down to 0.3 micron. 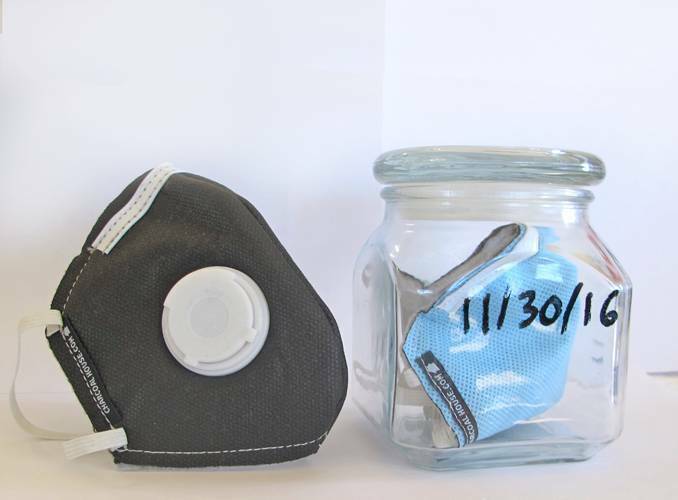 The Hg+ mercury mask is not for use in oxygen-deficient areas or with toxic contaminants. To extend the lifespan, place the mask in an airtight container such as a sealed glass jar when not in use. Write on the mask or jar the beginning date to help you keep track of how long it has been in use. For more Information, see Technical Data. 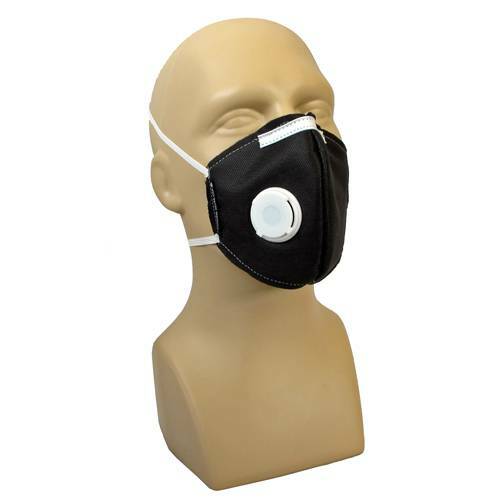 A special version of the Pure Non-Scents® CHARCOAL FACE MASK for people handling mercury, such as metal processing, chemists, dentists, and hygienists. The Hg+ mask has been developed with 100% Activated Carbon Cloth sensitized to adsorb mercury vapor. It also has the addition of a one-way valve to give improved breathability. The Pure Non-Scents® Ag+ CHARCOAL FACE MASK protects against virus outbreaks as it is specially impregnated with medical grade silver (Ag). 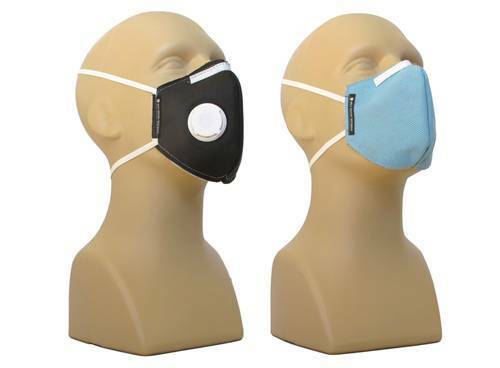 Applications are numerous, from hospital workers, homemakers, athletes, those in environmentally risky conditions, smoke allergies, sufferers of Multiple Chemical Sensitivities (MCS), travelers, wherever fresh clean air is not available, the Pure Non-Scents® CHARCOAL FACE MASK can purify the air for you to breathe safely. A mask that protects this well, would at one time have been huge and bulky, but now you can slip one in your pocket or handbag and be confident that you have what you need to protect yourself and your loved ones from any foul and dangerous air. "It (MCS) is horrible, although it does allow me to go out in public. Whenever I was outdoors and smelt anything, I had to put that big mask on. It has been a problem for me because I react to that big mask and after an hour I began to get sick from the mask. This is why I looked for an alternative mask one that was light and easy to wear one that would not make me sick and one that would keep most all smells and chemicals away. I bought a Pure Non-Scents® Mask from you and I have been impressed. This mask works much better at keeping odors out however it is not washable and so I store it in a glass jar when I am not wearing it. I will be ordering another one because I feel it is important to have a replacement on hand at all times. It fits well and it is light and easy to wear. Although I have only been able to wear it out a couple of times, I feel it will do a really good job of keeping odors out in a few of the places I am able to go. I do however have to keep the big 3M mask with the respirators for when I have to go into places I am sure are more toxic. Over all I love the masks and I plan on using them frequently. 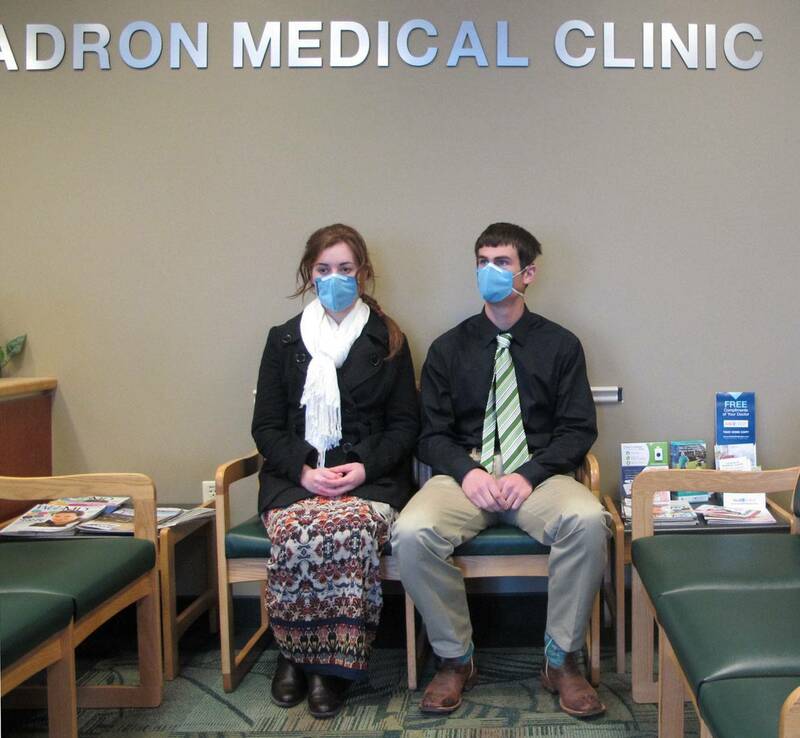 I have yet to have an ill effect from wearing the masks which was what I was looking for." Carbocloth™ outperforms regular granular imbedded carbon for a few reasons. Because Carbocloth™ is micro-pourous, it will adsorb 8 - 20 times faster depending upon the type of odor/vapor molecule. It will also adsorb down to a much lower concentration, equating to a cleaner air stream. Longevity: if kept in a air tight environment, the masks will last indefinitely. As for actual useful lifespan that varies for each application. 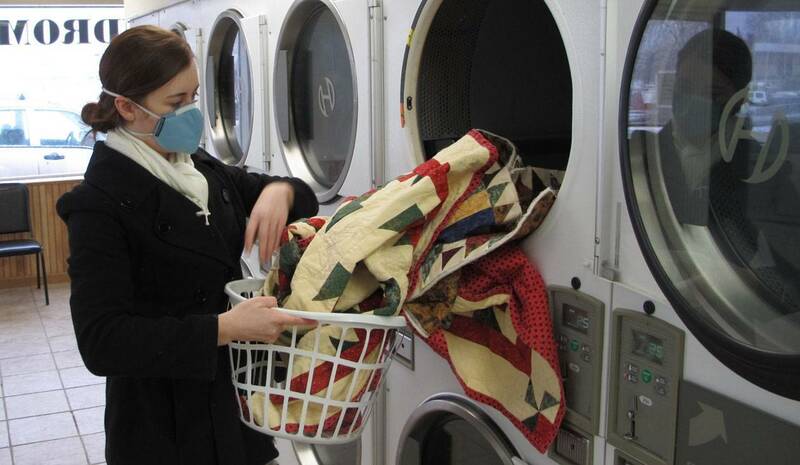 In moderate air filtration applications, it is recommended to change masks every three months. PNS Hg+ (Mercury) is only guaranteed for an eight-hour shift because there is no way to insure the user will place the mask in a sealed container after each shift. But if the user is careful to place the mask in some sealed container after each use the mask is deemed effective for several months. To demonstrate Carbocloth's™ effectiveness on "breakthrough times", the chart below outlines a few of the odors tested. The table identifies a range of smells and the concentrations at which the human nose can first detect them. The chemicals used are those actually found naturally in the products that you identify from their characteristic smell. For example Butyric acid is found in vomit. A sample of Carbocloth™ (8.24” x 12”), will continually remove that particular smell for 473 hours (20 days) and still have 63% of the cloth still active. Note: These smells are in concentrated form from the time the test begins, versus an application such as a pet bed that would accumulate smell over time. If not exposed to a continuous concentrated smell, the difference would add weeks to the overall sample lifetime.